When I moved to Hendricks County in 2005 from the south side of Indianapolis, I didn’t know a lot about the area. My husband and I just happened to find a home in a neighborhood we liked. Little did I know, how much I was about to discover in this community. I could have never imagined that I would eventually become a local insider while serving as a Digital Destination Expert for Visit Hendricks County. As I look back at my time as a blogger, I realized there are a lot of things I discovered or experienced because I was blogging. Today, I’m going to share those things with you, so you can enjoy them too. Rural Routes to Main Street Cultural Trail – I had heard of this trail before I was a blogger, but had not checked it out. I have since learned that I really was missing out. I didn’t realize how many amazing artists, restaurants and cultural sites were along this trail in Hendricks and Morgan counties. I had a blast checking out this trail and even put together an insider tip sheet based on what I learned from my adventures. Some of my favorite stops include Finer Things, Frazee Gardens, Monrovia Mudworks, Black Swan Brewpub, Zydecco’s 5 and The Bread Basket Cafe and Bakery. If I was to recommend one must-see experience in Hendricks County, the Rural Routes to Main Street Cultural Trail would be it. There is something for everyone on this self-guided tour. Take a look at the guide to plan out a trip to match your interests. Parks – Hendricks County is home to great parks. I had visited a couple parks before I was a blogger, but after I became a blogger, I set out to discover as many as possible. Over the years, our family has enjoyed the playgrounds and the trails at several of the local parks. We love the trails and playground in Hummel Park in Plainfield. We love Washington Township Park&apos;s Splash Pad, which not everyone knows about because it is in the lower part of the park in Avon. We have also loved participating in the educational events at McCloud Nature Park in North Salem. I had not heard about McCloud before I became a blogger, but I’m glad I did. 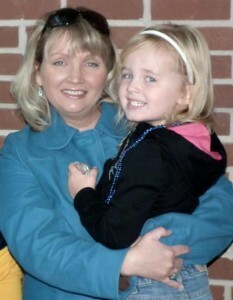 My daughter and I attended a couple events in the Nature Center and had a great time. 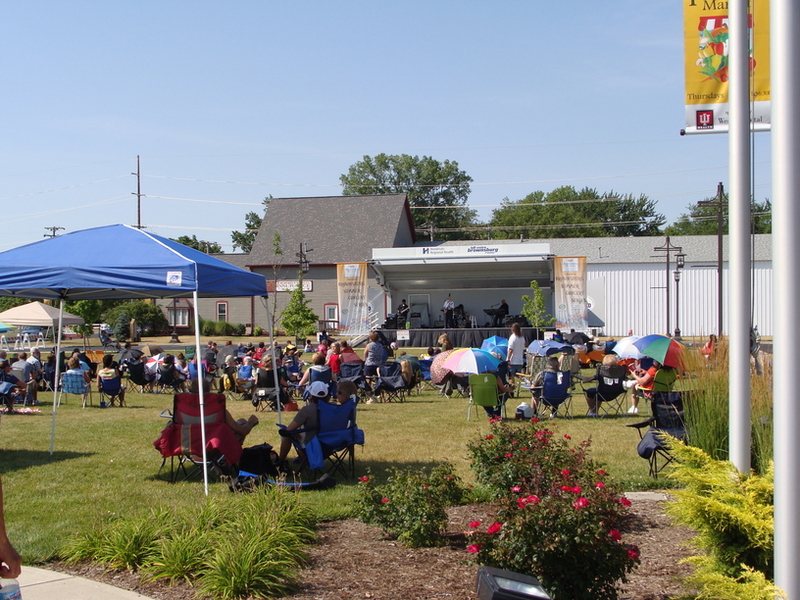 Summer Concerts – I never knew how many free outdoor concerts were held each summer in Hendricks County. Some of the venues that host concerts include Hummel Park’s amphitheater in Plainfield, Chateau Thomas Winery in Plainfield, Brownsburg Town Hall and Washington Township Parks and Recreation in Avon. Our family has taken advantage of many of these concerts. We love to pack a picnic and enjoy the summer evenings listening to music. 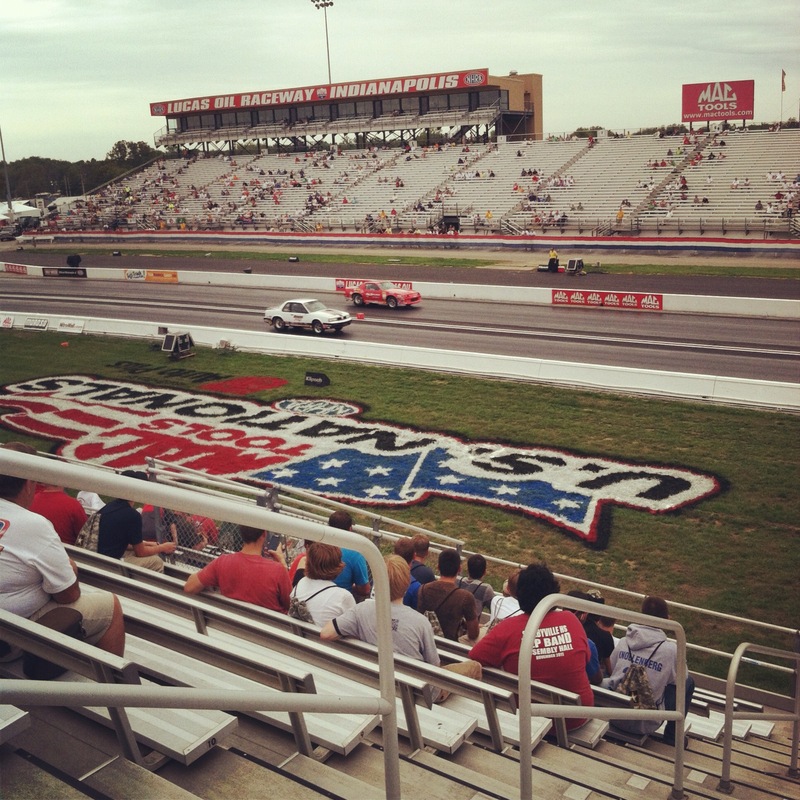 NHRA U.S. Nationals – This is one experience I don’t think I would have ever considered on my own. Even though I’m a Central Indiana native, I’m not into auto racing. So, my editor thought it would be interesting to send me out to the U.S. Nationals to get my opinion about the event since I had little knowledge of the sport. I’m glad he did. I had a fun time watching and learned a little bit more about the sport. I highly recommend a visit not only for racing fans, but others as well. 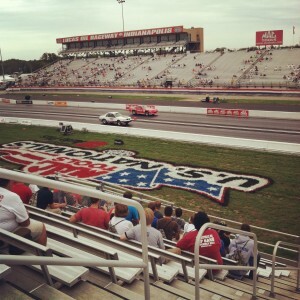 Lucas Oil Raceway is a great venue. 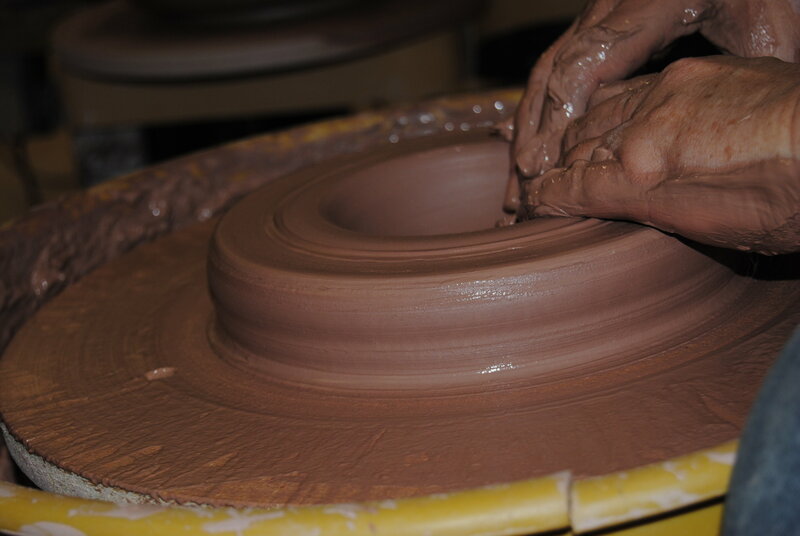 Sally Ann’s Ceramics – Visiting Sally Ann’s Ceramics in Pittsboro brought back childhood memories for me. 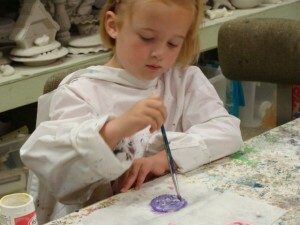 I love to do craft projects and one of my favorite childhood memories was painting ceramics with my mom. I lived in Lebanon as a child, so I always thought that the ceramics studio we visited was in Lebanon. When I was given the assignment to take my daughter to Sally’s, I was excited because it was a memory I could share with her. As I visited Sally’s studio, it had a familiar feeling to me. As I talked with Sally and later talked with my mom, I discovered this was the same studio I had visited as a child. It was great to discover that I had been to this studio some 30 years earlier. In addition to bringing back memories, my daughter had a great time. This is an experience she still talks about. There are so many great things to do in Hendricks County. I hope you enjoy discovering the county as much as I have.